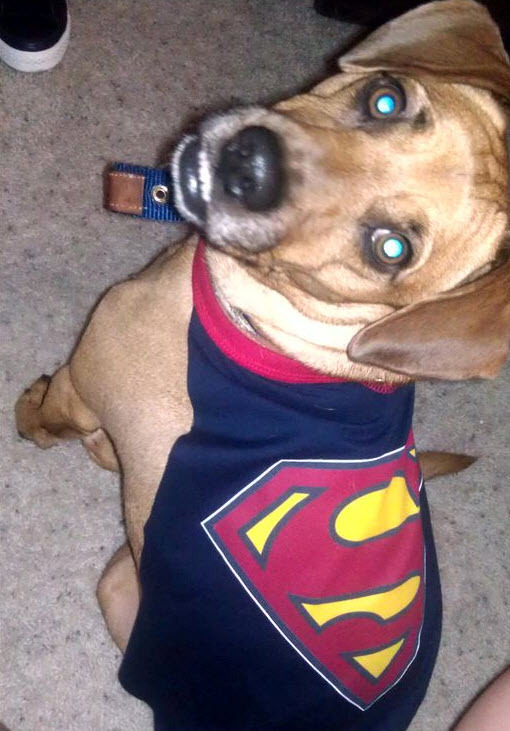 Turn a T-shirt into a cape for your dog! Get a T-shirt with a neck that is a good size for your dog and that has a good design for a cape emblem. Cut out the front of the shirt, leaving the neck intact. If needed, cut a slit in the back of the neck piece and attach a Velcro fastener on either end.